In this free eBook we will share our research that dives into the nuances of the giving hearts across generations. We will provide insights into how much they give, to how many organizations, volunteer behavior, their media preferences and more. Uniquely, we will be looking back so we can look ahead. McQueen Mackin did identical work half a generation ago – 9 years in time – so we can see how aging and life stage impacts giving within each generation. As you will see in our research, to optimize fundraising practices it’s important to take into account the generational differences, as well as predictable age and life stage changes, to attract and maintain donors over time. 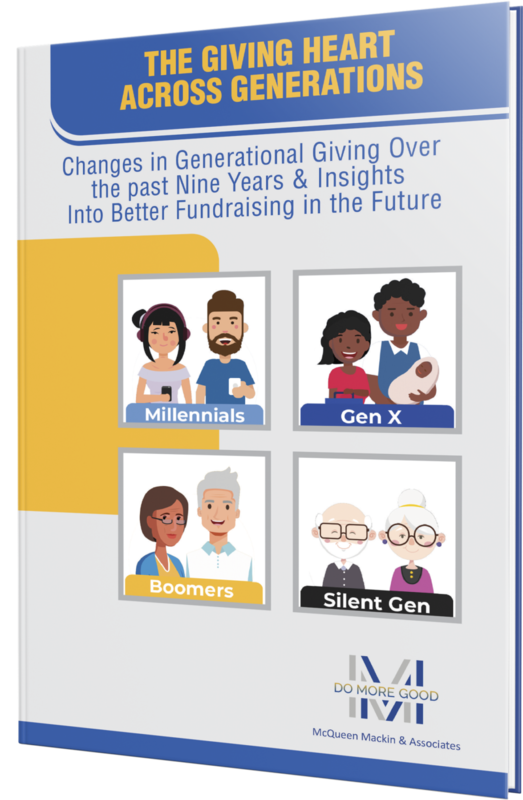 Our unique perspective allows to develop forecasts for 2026 and will give you the in – depth understanding of giving across generations and how it has evolved to optimize your fundraising and marketing strategies.